Lymphoma is one of the most common forms of canine cancer. And when our furry friends are suffering from this disease, it’s good to know that there are resources out there to keep us informed. National Canine Lymphoma Awareness Day on November 7 is a great way to honor our dogs. Recognizing National Canine Lymphoma Awareness Day, celebrated on November 7, is a good place to start. The day reminds us to stay vigilant and to check our dogs regularly, so that we can potentially head off any problems before they arise. Paste the Infogram embed code or shortcode here. Along with any text above or below it. Trainer Terry Simons' dog Reveille battles canine lymphoma, inspiring Simons to start CLEAR (Canine Lymphoma Education Awareness and Research). The nonprofit American Society for the Prevention of Cruelty to Animals is organized in New York City. The first veterinary college is established in Lyon, France, by Claude Bourgelat. The archaeological record suggests that dogs and humans were first buried together about 14,700 years ago. Modern studies suggest that the modern dog diverged from its wolf ancestral line about 27,000 years ago. 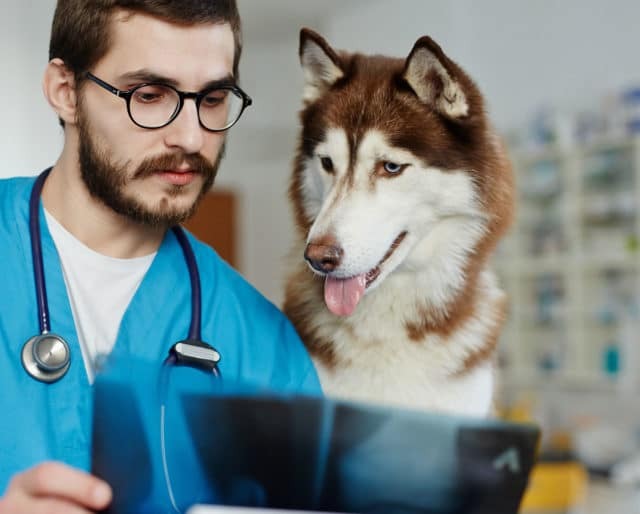 Which dogs are more prone to canine lymphoma? What are some of the symptoms? There are answers to these questions, and in honor of this day, task yourself and your family members with researching them. Your pooch probably doesn't like the veterinarian (although he probably loves the car ride! ), but you owe it to your dog to schedule regular visits to the vet to keep him in tip-top shape. There are plenty of wise, old dogs out there — many of them suffering from various ailments — that need a good, safe and comfortable home to see out their remaining days. If you can, please think about adopting an older dog. Keep an eye out for enlarged lymph nodes, lethargy, loss of appetite, weakness, or weight loss. There are more than 30 types of canine lymphoma. Lymphomas commonly affect the liver, spleen, and bone marrow. Canine lymphomas and human non-Hodgkin's lymphomas are almost indistinguishable under a microscope. Chemotherapy is the most effective therapy for canine lymphoma. They're not just our pets. In fact, many of us don't even like to call them that. Our dogs are members of the family, and as such, deserve all the love and attention we can give them. Making sure our dogs are healthy reminds us to do the same for ourselves and the rest of our families. Regular check-ups and easy-to-do, in-home examinations make for a happy, healthy life. We love our dogs, and there is nothing we wouldn't do for them. But, amazingly, the love we feel for them pales in comparison to how they feel about us. We must make sure that we are worthy of their love.